Switched On - Are Port Adelaide Back? 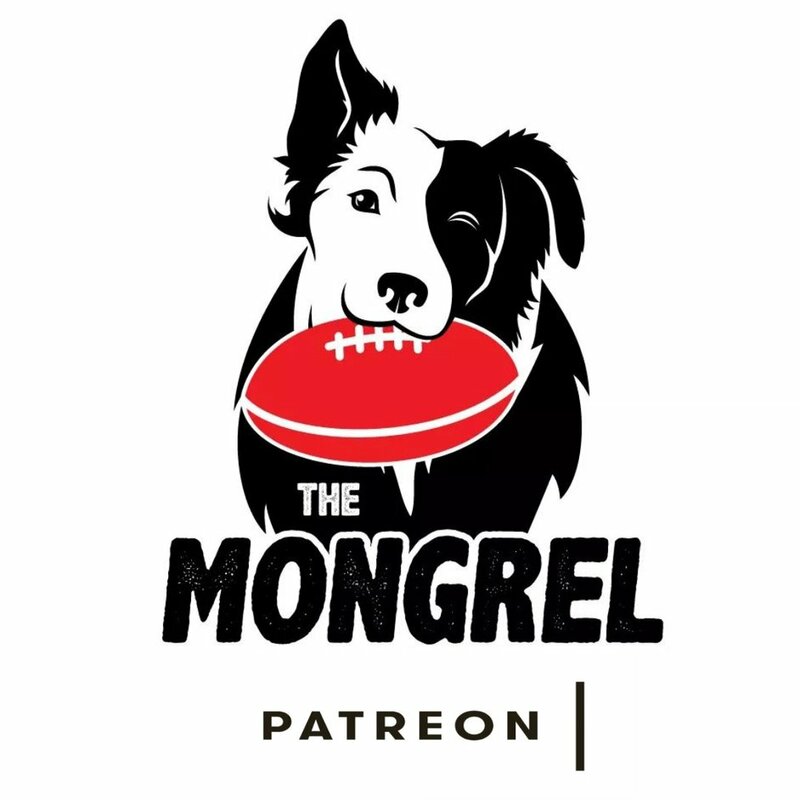 — The Mongrel Punt Become a Patron! Switched On - Are Port Adelaide Back? In the lead in to the 2019 season I found Port Adelaide the most difficult club to get a handle on. As Donald Rumsfeld somewhat infamously said: "There are known knowns; there are things we know we know". Port's theme song is one of these. It is undeniably rubbish, lacking soul and charm. Unlike Fremantle's 'so bad it's actually good' equivalent which (I assume) was written over a very long lunch, Port's offers no redeemable quirks. The Port Adelaide fans are also unquestionably the league's most rabid, noisy and one eyed supporter base. Anyone who's experienced a Power home game as an opposition attendee will attest to this; the atmosphere they generate is seriously intimidating. It is known. Rumsfeld also opined that "There are known unknowns; that is to say we know there are some things we do not know". Deciphering this jargon is less straightforward but as football followers we knew that Port's most talented player, Chad Wingard, had vacated the club after stagnating in his last two seasons. We knew that their most damaging outside runner (and the team's best conduit from defence to attack), Jared Polec, had accepted a lucrative offer from North that the Power simply couldn't match. We knew the acquisition of Tom Rockliff, Jack Watts and Steven Motlop hadn't worked due to many issues (including conditioning, poor form and a rigid gameplan that didn't seem to suit anyone, let alone three primarily offensive players). Finally, we knew the coach was under enormous pressure after the team imploded at the end of 2018, stumbling to 11th after occupying 4th spot at the conclusion of round 16. What we couldn't quantify was how the club as a collective would respond. Would the coaching staff release the shackles and let the list express themselves, playing with freedom, speed and dare? Would the highly touted draftees be able to impact the team in their first season and complement their senior peers? Would the senior players be rejuvenated by the list and game plan overhaul? After three rounds the answer to all those unknowns is a resounding YES. The recruitment of West Coast premiership ruckman Scott Lycett is a huge get. Having an intimidating, durable and consistent first ruck has been an issue for Port since Brendon Lade retired and Lycett complements the skilful but physically fragile Paddy Ryder perfectly. The former can bash and crash in the centre, wearing his opponent/s down and allow Ryder to ruck when fresh, utilising his superior leap and delicate craft to full effect. Both can hit the scoreboard and command a decent defender when stationed inside 50. I'd go so far as to say that this ruck pairing is the best in the league. I'm not sure what Tom Rockliff and Travis Boak did over the summer but I dare say it wouldn't have been much fun. Both look in pristine physical condition and their form is reflecting this. The Power suffered from the duo's regression last year, at stages seemingly hiding them up forward but their impact so far has been enormous, especially given Ollie Wines' absence in rounds one and two. It may be early days but between them they're averaging 66 possessions, 11 tackles, 13 clearances and nine inside 50s per game. I should point out that these numbers are slightly diluted given Rockliff's concussion and early exit against Brisbane! Wow. Sam Powell-Pepper is another player who endured an interesting 2018, both on and off field. His three game ban for a nightclub incident involving 'inappropriate contact' with a young woman, hours after a hard fought win over the Lions clearly impacted his continuity. Although he had his moments Powell-Pepper never quite reached the heights of his debut season where he firmly established himself as one of Port's best clearance players and finished third in the AFL Rising Star award. There isn't much subtlety to his game but SPP is averaging 23 disposals, five tackles and five inside 50s. If he can clean up his erratic goalkicking even a smidgen (2 goals, 4 behinds and multiple out on the fulls at present) it'll add another string to his bow. Notice I've barely mentioned Ollie Wines, Port Adelaide's co-captain and best midfielder? He'll start to build into the year after pre season shoulder surgery and will make them an even scarier proposition. All of Port's starting mids are built like brick outhouses and this will be of huge benefit as winter approaches and the grounds become sodden. One glaringly obvious trait last year was the Power's inability to hit targets when exiting defensive 50. Getting Ryan Burton as part of the Wingard trade should help; Burton is a sound decision maker and an accurate, penetrating kick. Although his hardness was sometimes questioned by Hawthorn supporters it's clear that Burton has an abundance of natural talent and after an underwhelming JLT series has looked more comfortable each week. His experience of three finals at the MCG is a real boon for someone with only 50 career games. Another player due to spend significant time as a rebounding defender is Hamish Hartlett. A disappointment since signing a mega contract extension in 2015, Hartlett will benefit from the added class around him when he returns from an ACL rupture in the next few weeks. Having some time to reflect on his footballing mortality could be a kick up the backside that many Port fans felt Hartlett needed and the two players should complement each other well. Sharing defensive duties and a positive in what was a miserable 2018, Dan Houston is now a consistent performer in a back six that remained fairly miserly, despite being under the pump as last season wore on. A top 10 finish in the best & fairest was a fair reflection of his growth as a player and he's started 2019 in good form. Finally, the two Toms at the heart of the Power's defence; Jonas and Clurey have been reliable bookends for some time and the duo were the best of the key position players in a somewhat difficult 2018. Co-captain Jonas flies under the radar in eastern states but is highly respected in AFL circles and Clurey's ability to play tall and small makes him a critical part of their setup. More of the same in 2019 will see Port a difficult team to score against, albeit they aren't as defensively obsessed as last year. I felt for Port Adelaide's forwards last season. Week in, week out they were negatively impacted by the methodical, safe (and therefore slow) ball movement. Kicks were often dumped high and long inside 50 on the heads of Dixon, Robbie Gray, Ryder et al, and they were regularly outnumbered. In 2019 that trio stand to be the biggest beneficiaries. With a midfield encouraged to take risks, use the first running option by hand and playing on whenever possible their forwards have enjoyed the luxury of being one out against their direct opponents. And all of their forward staples are supreme one v one. 2014 Coaches MVP Robbie Gray is a crafty player, a supremely balanced genius with clean hands and great agility. Despite still being an elite clearance player Gray spends 80% of his time as a small forward. He may be an average kick from a set shot but Gray is lethal on the run; both from distance or on acute angles across his body. Creating opportunities from half chances is Gray's trademark and his handballing to teammates' advantage is quite special. Gray's partner in crime, Paddy Ryder will spend more time inside 50 than years gone by. Ryder's marking, set shot accuracy and stoppage work around goal make him a really difficult player to quell as he doesn't need many opportunities to hit the scoreboard. His telepathic connection with Gray from stoppages will still feature, albeit in smaller doses than before. When I mentioned first year draftees having an impact Connor Rozee was front of mind. Drafted with pick five and wearing the number 20 vacated by Wingard, Rozee buzzes around half forward with pace, trickery and composure that belies his age (sound familiar?). Despite his slight build, Rozee is brave in the air and applies a lot of defensive pressure to complement his offensive talents. Destined to receive more opposition attention, Rozee won't kick five goals every week and is likely to be rested at stages, but for now has given the team real energy. He looks as talented as any player from the highly touted 2018 draft and has some serious x factor about him. Oh, and Charlie Dixon, the Power's key target man is due to return at some stage from a broken leg. It all adds up to some serious weaponry inside 50. At the ripe old age of 32, Justin Westhoff is in career best form. Port's reigning best and fairest winner, Westhoff is aerobically strong, has a huge vertical leap, is clean below his knees and has superb foot skills to boot. Plugging holes all over the ground is Westhoff's M.O. and in 2018 there were holes aplenty. I envisage Westhoff playing closer to goal this season where he can stretch defences with his unique size and smarts but the team's evolution should result in them being less reliant on his heroics. “I think that’s probably a little learning for us from last year. We need to make sure we are playing a game style that’s suitable to us and not get lost in something else". This quote from coach Ken Hinkley sums up the positive direction of the club, and the departure from a game plan that had players second guessing themselves. In 2018 Port were seemingly obsessed with stopping the opposition from scoring which was completely at odds with the makeup of their list and a radical departure from the status quo. As the season wore on Port became so dour and structurally rigid that the players appeared to be disinterested. Some big calls involving the direction of the club had to be made (and to the surprise of many, they indeed were). Hinkley has described his decision to move certain players on and have a crack at the draft as "The bravest I've been in my time in football". It's very early days but the likes of Rozee, Zak Butters (pick 12) and Xavier Duursma (pick 18) have already been solid contributors in a couple of wins and haven't looked overawed mixing it with the best. Reverting back to a faster, more instinctive style was a no brainer, but to see both debutantes and experienced players adapt to it from the very first round must be satisfying. The most impressive thing about Port this season has been that little something that's often hard to describe. It's Connor Rozee and Zak Butters cheekily offering Max Gawn some advice after the latter went half-heartedly at the footy in round one. It's the tears of relief from Jack Watts at the conclusion of the same game after he endured an off season from hell. It's Butters flying in and collecting Hugh McCluggage at 100 miles an hour then relishing the confrontation as Brisbane players rush in to remonstrate. It's the joy on the faces of Ryder, Westhoff, Boak and Rockliff as it dawns on them that their premiership aspirations aren't yet extinguished. It's the pleasure etched all over the face of Ken Hinkley as he watches four debutantes celebrate their first AFL win. The confidence is evident. The brashness is returning.